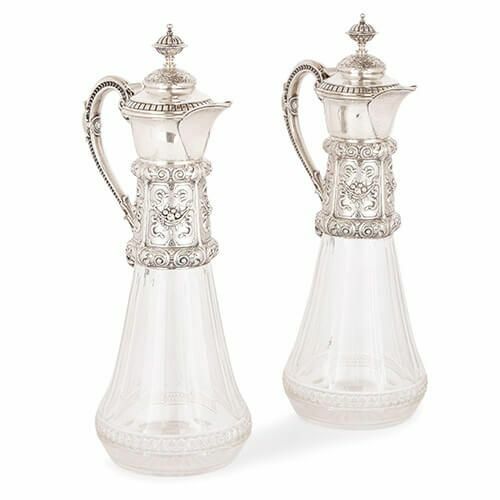 Crafted in Germany circa 1890, this pair of claret jugs feature elegant glass bodies, which are topped with beautiful, hand-worked silver necks and lids. The two claret jugs are of an identical design, with glass bodies and silver necks, tops, lids and handles, articulated by punched and chased decoration. 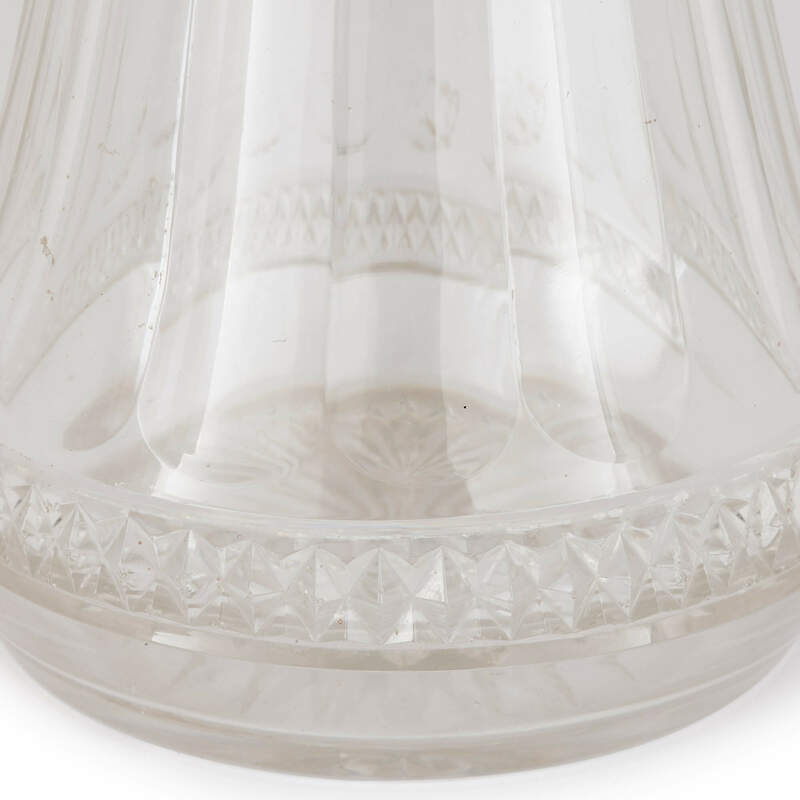 The base of each jug is encircled by a band of cut glass, contrasting with the smooth glass body above. 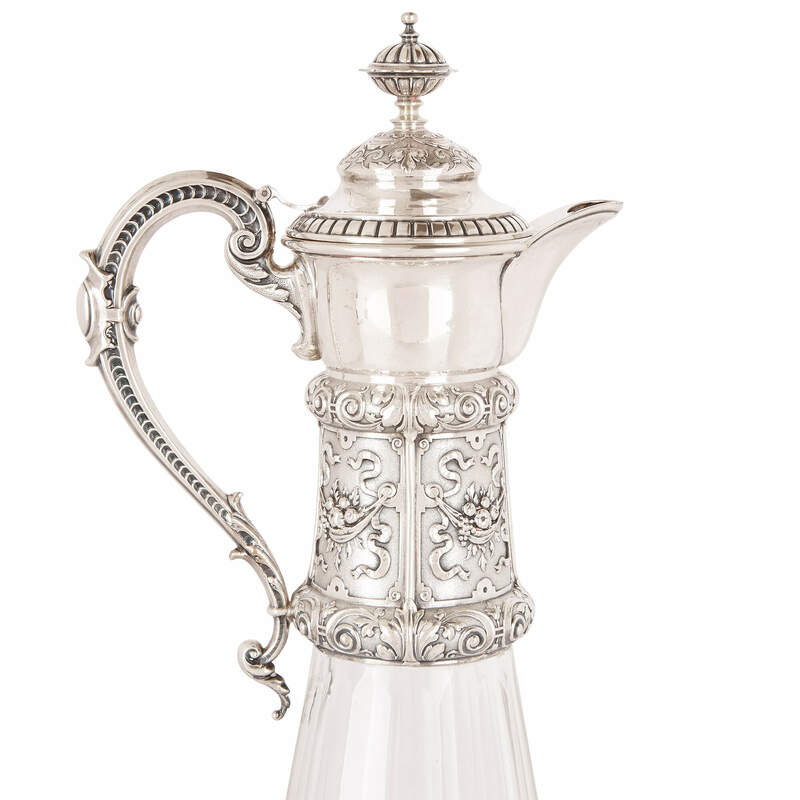 Each jug is topped by a silver neck, which is heavily ornamented with scrollwork, swirling foliage and fruit swags. 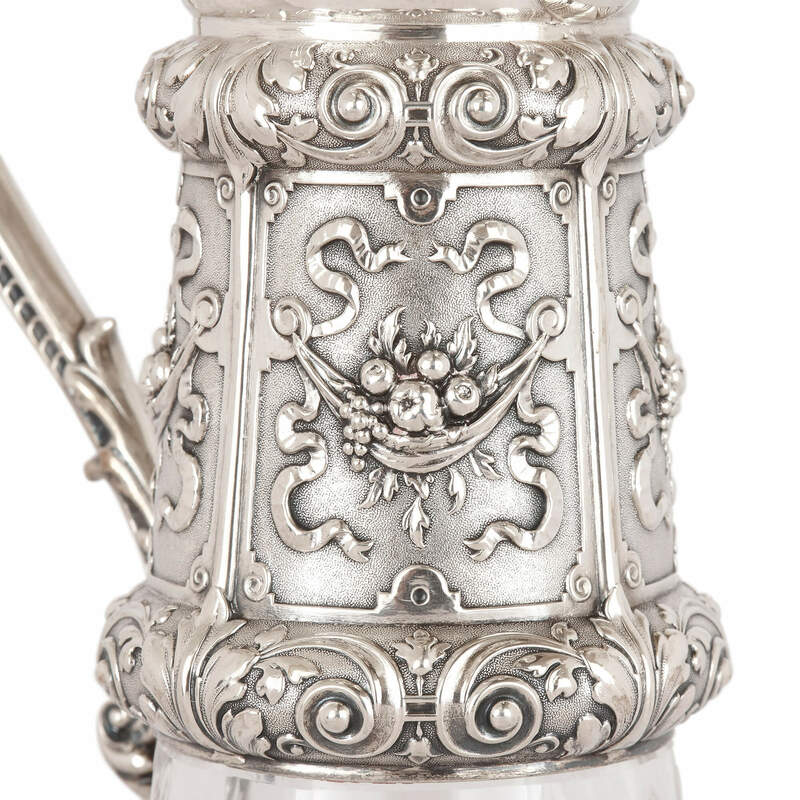 Crowning the neck and spout is a silver lid, which is decorated with dentil moulding around its rim and swirling foliate patterns on its top. Each lid is inscribed with 'H. 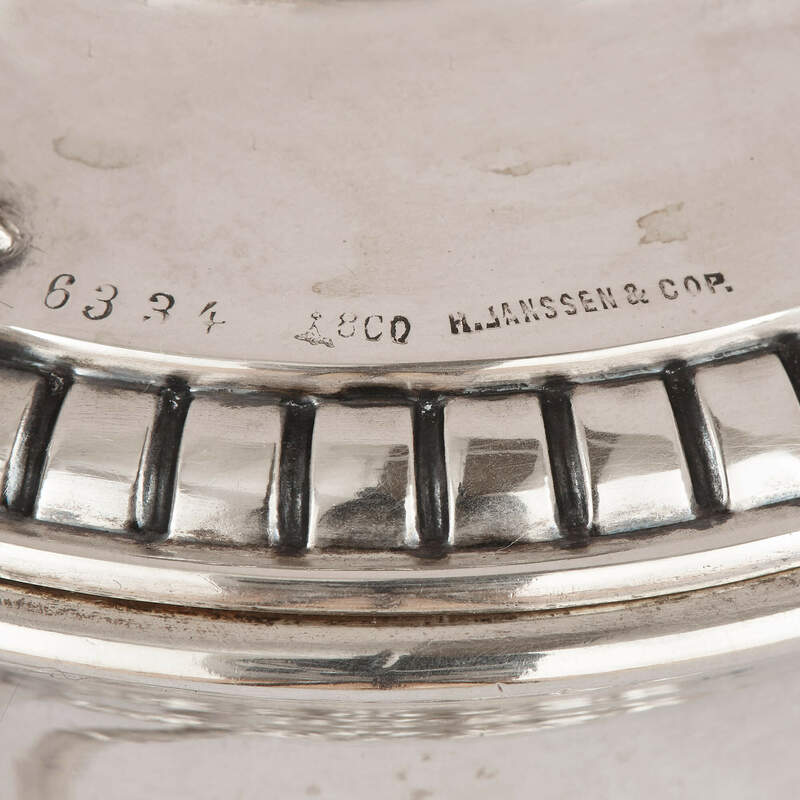 JANSSEN & COP', the name of the German manufacturer, and is further decorated with a fluted ball-shaped finial surmount. 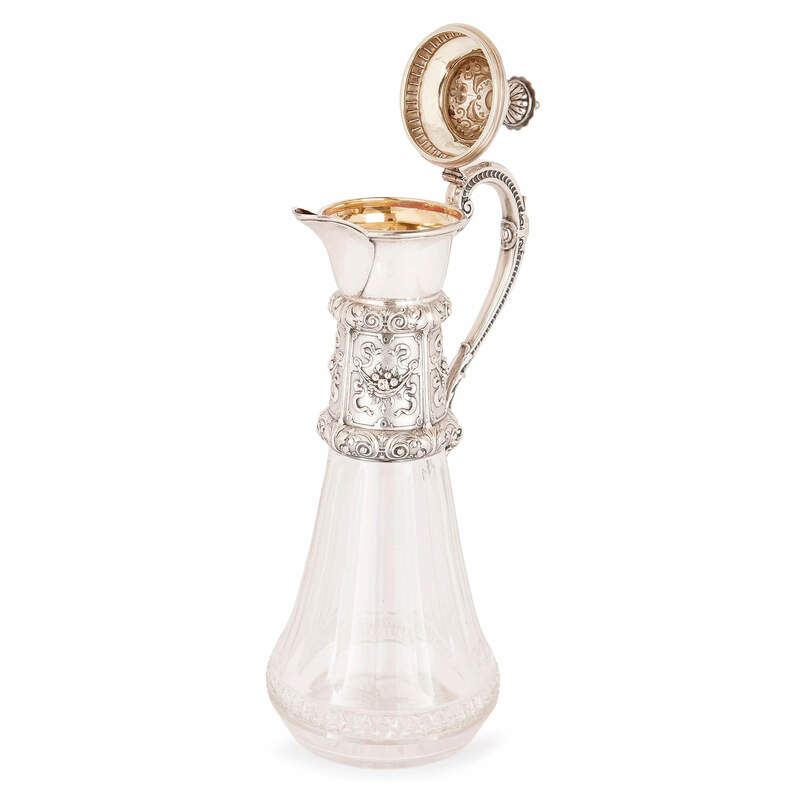 An elegant silver handle extends out from the lid and curves down to meet the bottom of the neck. The ends of the handles are scrolled, and the sides have been repeatedly punched, creating a continuous ribbon of pattern. 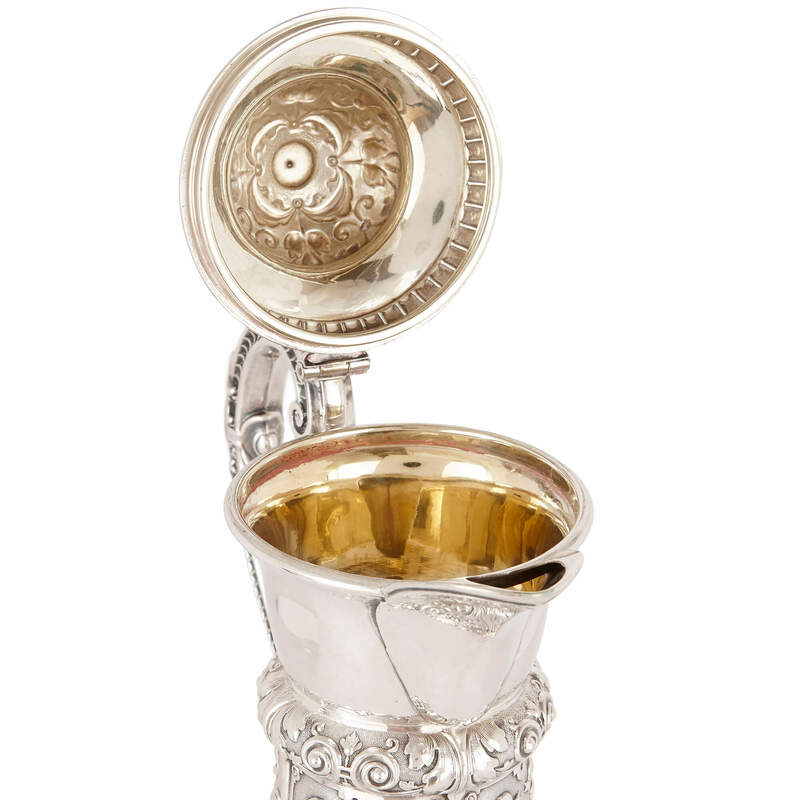 The interiors, which are accessible by raising the hinged lid, are exquisitely finished in silver-gilt, emphasising the quality and luxuriousness of the jugs.